Pupils from two North Lanarkshire schools have come together to show how football can unite people across the globe. 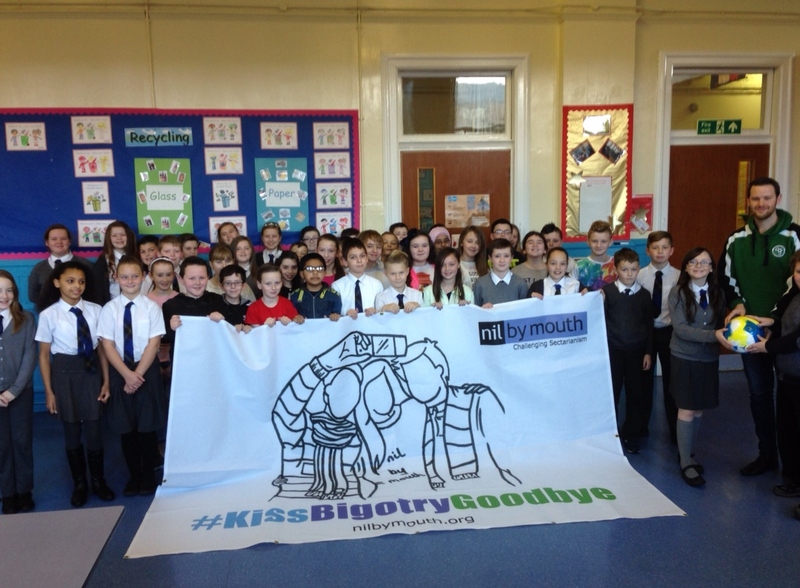 Last month, more than 80 P6/7 pupils from Holy Family and Mossend Primary Schools participated in a special sporting event at the Ravenscraig Sports Centre organised by anti-bigotry campaign Nil by Mouth as part of its ‘Kiss Bigotry Goodbye’ campaign. The aim of the event was to bring young people from different cultures and traditions together to highlight how we can achieve more by working together rather than excluding others. The pupils were set a number of challenges which involved teamwork, physical activity, games and sporting competitions. The pupils were set an extra special challenge ‘arms linking’ challenge which if successfully completed would see them win 10 Fairtrade footballs to send to children in Lusaka, the capital of Zambia. 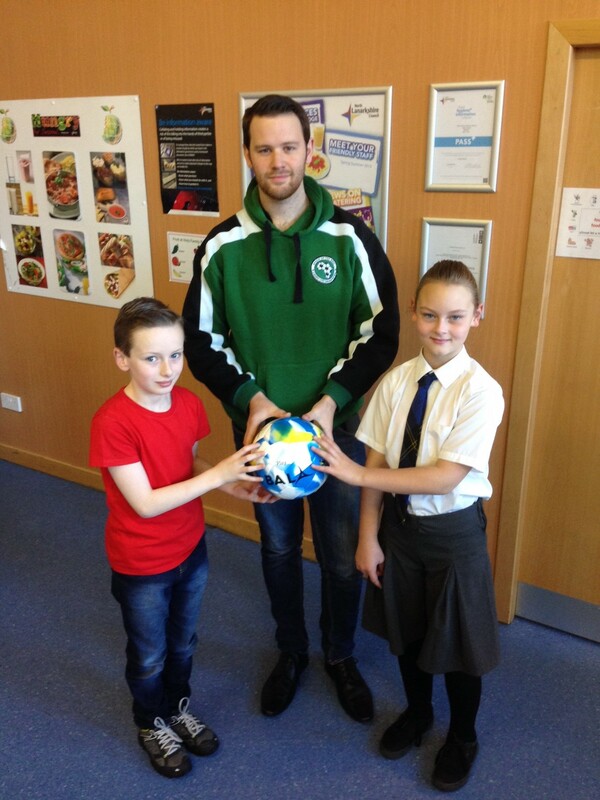 The balls were donated by fleet media firm Agripa Solutions which earlier this year worked with the charity and the schools on the ‘Bin the Bigotry’ campaign across North Lanarkshire. Having successfully completed the challenge the pupils this week handed the balls over to ‘Africa on the Ball’ representative Andrew Jenkin. The charity organises football teams and competitions in Africa using the game as a way to tackle poverty of aspiration and negative influences on young people.